One of the best parts of the holiday season is that everyone celebrates it in their own unique way. Some traditions have grown out of novelty, such as eating Kentucky Fried Chicken dinners on Christmas in Japan. Others date back centuries, like hiding your broom on Christmas Eve in Norway to prevent witches and evil spirits from stealing it to ride on. Holiday traditions can stir up feelings of nostalgia and spark interest in exploring one’s ancestral past. We start to wonder where did these traditions come from? And how did these traditions spread and evolve? On this episode of the Oxford Comment, we examine the history of holiday traditions and attempt to figure out why we continue to celebrate them; even the strange ones. Our guest, Gerry Bowler, author of “Christmas in the Crosshairs: Two Thousand Years of Denouncing and Defending the World’s Most Celebrated Holiday” explores the entire sweep of Christmas history and provides a global scope of its influence. Featured image credit: Champagne, bottle, drink and wine by JESHOOTS.COM. Public Domain via Unsplash. 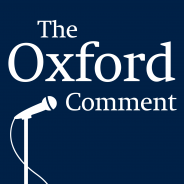 Episode 51 of The Oxford Comment was hosted by Katelyn Philips, Marketing Coordinator at Oxford University Press. This episode was produced by Nicole Piendel (Executive Producer/Editor) with Marissa Lynch, Mackenzie Cutruzzula, Victoria McPherson, and Katelyn Philips (Associate Producers). Special thanks to our Production Coordinators Stephen Mann, Madeline Johnson, Jenny Rossberg, Sarah Lee, and Mara Sandroff. From the cast and crew of The Oxford Comment, we wish you a Happy Holiday Season!